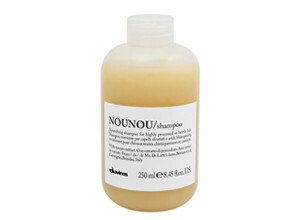 Used this shampoo at a visit to Carlton, and was super awed of the product. About me..I love my grooming regime, my attention mainly focused on hair and skin. I’m traditionally attracted to what I see, and I love brands (but love getting a good deal as well). That said, after using, and smelling the heavenly treat, was delighted to buy it. It is sulfate free and environmentally friendly. My hair felt clean but very well moisturized, and treated. I was lucky to also receive a free oi oil (beautifying potion) on promo with a shampoo and conditioner which was an absolute treat. I encountered a difficulty upon relocation as there weren’t any salons stocking Davines, however more salons have started stocking it. I really enjoyed this product. I’ve always been someone that used whatever shampoo was in the shower no matter what hair type it was for and after using this shampoo I will never make that mistake again. There were a few things that really impressed me, firstly it was the smell the fragrance was very subtle and fresh. Then the texture of the shampoo it was thick and luxurious and the foam was also thick and creamy it left my hair feeling clean but not stripped. When it came to combing and styling my hair I felt there was much less breakage after about a week of use and my hair had body something I’ve not had with any shampoo just on its own I usually have to use volumising products before I dry my hair I that can leave my hair feeling dirty and heavy I didn’t have to use any product I just combed my hair dried it and off I went.